Elegant and timeless, this marble will never go out of style. With a pitch-black backdrop and rich gold and white veins, Nero Dorado is likely named with the legendary El Dorado in mind: a Spanish name meaning “gilded one”. Consult your fabricator for maintenance tips to ensure your marble surfaces retain their beautiful appearance for years to come.  At Rudi’s Choice, each slab is hand selected by an expert, so you know you are getting the highest quality material. And with the biggest selection of marble and onyx in South Africa, you know that you will find the best one to meet your design needs. Our trained consultants are here to assist and advise you countrywide! Contact us today to book an appointment.